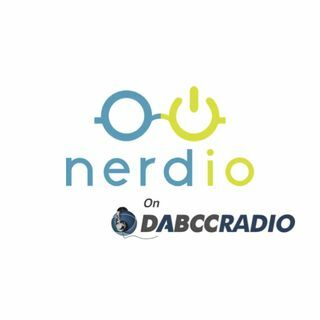 In episode 291, Douglas Brown interviews Vadim Vladimirskiy, CEO and Co-Founder at Nerdio. Vadim and Douglas discuss the Nerdio Virtual Desktop-centric IT-as-a-Service platform, Nerdio for Azure. Vadim explains the who, what, how, and why of the Nerdio solution, plus much more. Nerdio for Azure (NFA) is an IT automation platform for Cloud Solution Providers (CSPs). NFA offers ridiculously simple provisioning, management, and optimization of complete IT ... See More environments in the Microsoft Cloud. It addresses the critical challenges faced by CSPs in migrating their small-and-medium-sized business (SMB) clients to the Microsoft Cloud, as well as easily managing these environments on an ongoing basis. The company will be exhibiting at Booth 1645 to demonstrate how NFA empowers CSPs and their customers to streamline deployments and management, enhance global reach, and more. Nerdio can migrate entire IT environments to Azure in just a few clicks and a couple of hours. As a creative technologist with an aptitude for business, Vadim Vladimirskiy is the head honcho at Nerdio. He was the key driver behind the evolution of Nerdio - bringing ITaaS to the masses in cost-effective, standardized packages. With over a decade of impressive IT experience and education, Vadim has applied his ever-growing knowledge in creating and sharing his vision of how organizations can finally benefit from comprehensive yet affordable IT. Vadim has successfully build an innovative, high-growth business - with a culture that let’s people have fun along the way. When he’s not actively pushing the IT envelope, Vadim spends his time at home, with his loving wife and four boisterous kids. Prior to DABCC, Douglas worked at Citrix Systems, Inc. as a Senior Systems Engineer from 2001 to 2004 where he developed the leading Citrix project management and deployment solution, “Methodology in a Box”, which has more than a million downloads. Additionally, his peers and management at Citrix awarded Douglas the inaugural “SE of the Year” award in 2002. From 2005 to 2016, Doug was acknowledged as a MVP by Microsoft Corporation for his contributions to the industry. He has also been awarded with the Citrix CTP from 2006 to 2016 and VMware vEXPERT awards for his continued support of the IT community.